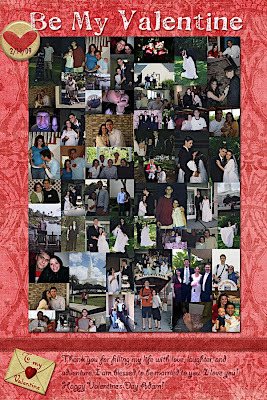 I made this for Adam for Valentine's Day (with digital scrapbooking, I know. Me. Scrapbooking. But it was actually fun.) I put it in his office at school yesterday along with balloons and a rose when he wasn't there so he could be surprised. It was pretty cool. Hey! That's dang cool! I need to take notes from you! I had a dream about you last night. How have you been?